Tempered Flat Glass with Gasket. 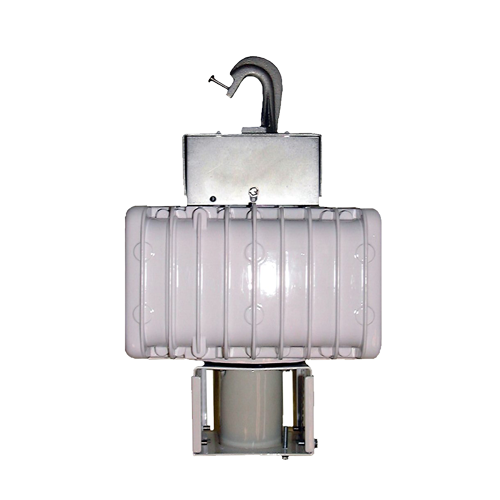 Porcelain 5KV Pulse Rated E40 Lampholder with Nickel-Plated Screw Shell. Mount on 19mm malleable hook (included) or downrod.